We golf fanatics love to add trophey courses to our brag and bucket lists. And while the Old Course, Pebble Beach and Banff Springs are obvious contenders, I’ve started a new list—obscure courses that most people have not even heard of. And that is why I recently braved a narrow one-tract road about the width of a pencil with pull-over passing places and covered with suicidal sheep in the outer Hebridean island of South Uist. My destination? 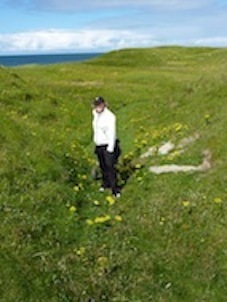 Askernish Golf Club. In case you need a bit of a primer on Old Tom…He was the most influential person to early golf pre the 1900s. Born in St. Andrews, Old Tom apprenticed under Allan Robertson, considered by golf historians to be the first golf professional. Morris left St. Andrews to become the keeper of the greens at Prestwick, a course north of Glasgow that hosted the first British Open in 1860. Over the decade Old Tom won four Open championships. In 1865 he returned to St. Andrews as greenskeeper and clubmaker until 1904. Morris was one of the first truly great course designers. A few of his masterpieces include Royal Dornoch, Muirfield, Carnoustie, Royal County Down and Crudent Bay—all worthy of your trophy list. 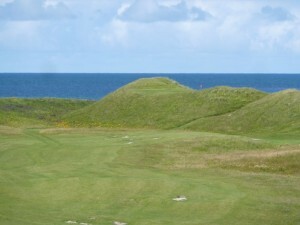 So you will understand the thrill of playing the recently refurbished Askernish. The local community of keen golfers with some financial and technical aid from abroad have painstakingly brought Old Tom’s vision back to life. In fact, there’s a Canadian connection: Gordon Stollery who owns Angus Glen Golf Club in Toronto invested some Loonies. 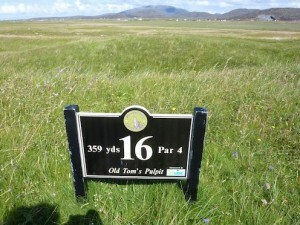 When renowned golf course architect, Tom Doak, was asked what he considers to be the most innovative course design that he has ever seen, he replied “Askernish–it’s innovative because all they did was mow the golf course and it’s still fun to play.” The official re-opening was August 2008; green fees are 35£ per day. A steal! It was well worth the harrowing drive to play this classic. 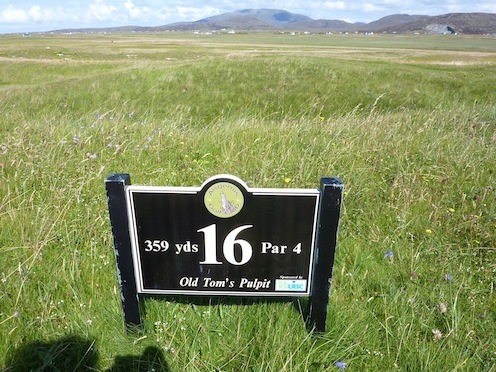 Most memorable is the 17th hole called Old Tom’s Pulpit–a 359-yard par 4 with dogleg right approach shot to a green perched high on top of a looming dune. I can just see Old Tom smiling to himself on this one. Another gem is number eleven–a par-three requiring a tee shot over a deep gully to a completely blind large green. When you stand on the tee it looks like you are hitting the ball straight into the Atlantic Ocean—give it a bit of a slice and you are!